Maihar Devi temple is located in Satna District of MP State. The distance between Varanasi to Maihar is 350 Km. As per Hindu believes, Maihar Devi is one of the holiest Hindu 'ShaktiPeeth' Temple. Several devotees used to Visit this temple every Purnmasi (Full Moon Day) from Varanasi, Allahabad, Mirzapur and nearby places. A huge number of visitors reach Maihar Devi for darshan during Navratri festivals from different location of India and abroad. This is due to the unflinching faith of the devotees who throng the temple premises. The name of temple 'Maihar' is conjunction of two hindi words 'Mai' (Goddess) + 'Har' (Necklace). As per the Hindu mythology, The Necklace of goddess Sati was fell down from her dead body carried by lord Shiva, Due to that instance the place called as Maihar. Planning for Maihar Devi Temple Darshan? You may choose/follow below mentioned options. Maihar city is well connected with the Indian Railways and most of the trains going toward Mumbai stop at Maihar Station, So you can catch the train from your origin To Maihar (Station Code: 'MYR'). 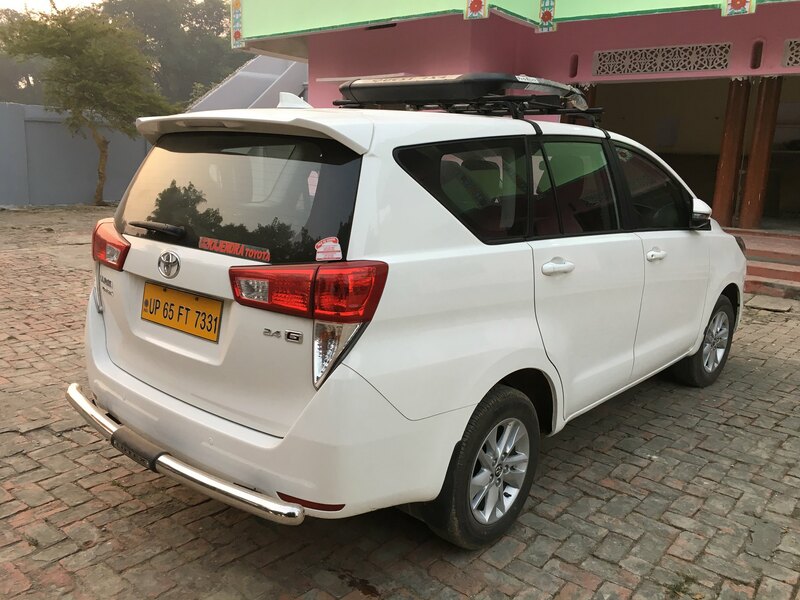 The roads to Maihar Devi are in very good condition, So you can hire Car, Taxi, Bus, Tempo Traveller with Vidhan Travels from Varanasi or any other location of Uttar Pradesh. It takes 6 hours from Varanasi to Maihar by road trip. After reaching Maihar, Have some refreshment, Take Bath and ready for darshan. Maihar devi bhavan from down stairs. You may take cable car to reach temple. Do you love traking? Move your legs and cross the 1063 steps to reach Bhavan. Running limit - 700Kms only. Distance(Kms) & Time(Hrs) are calculated from garage to garage (round trip). Toll-Tax, Parking and inter state tax will be extra if applicable and has to be paid by customer. Driver allowance(Rs.200 for small cars, Rs.300 for Tempo and Rs.600 for bus) will be charged per day for outstation. Pickup from Varanasi and proceed to Maihar Devi (350Km/6hrs journey). Get refreshed after reaching and ready for darshan. After rituals at Maihar Dham return back to Varanasi Tour Ends with loads of blessings of Maa Sharda. Swift Dzire car rental for Varanasi to Maihar. 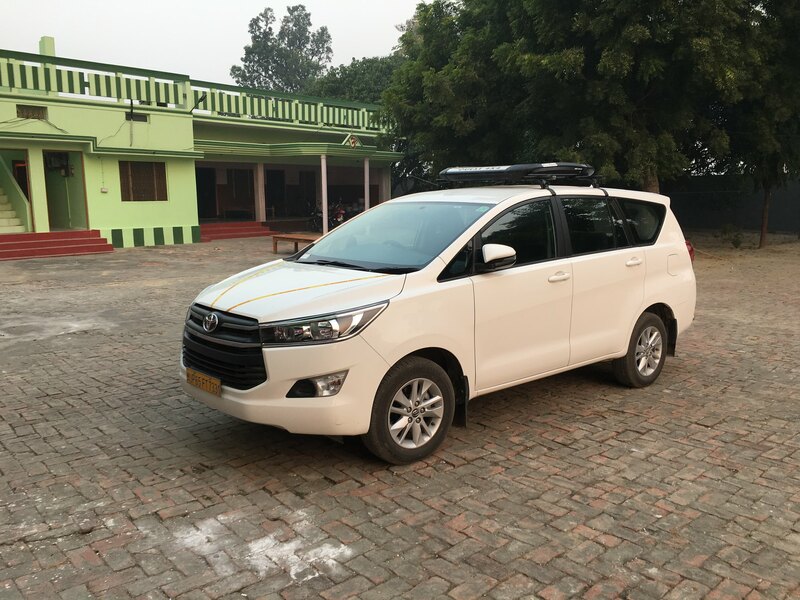 Tavera car rental for Varanasi to Maihar. 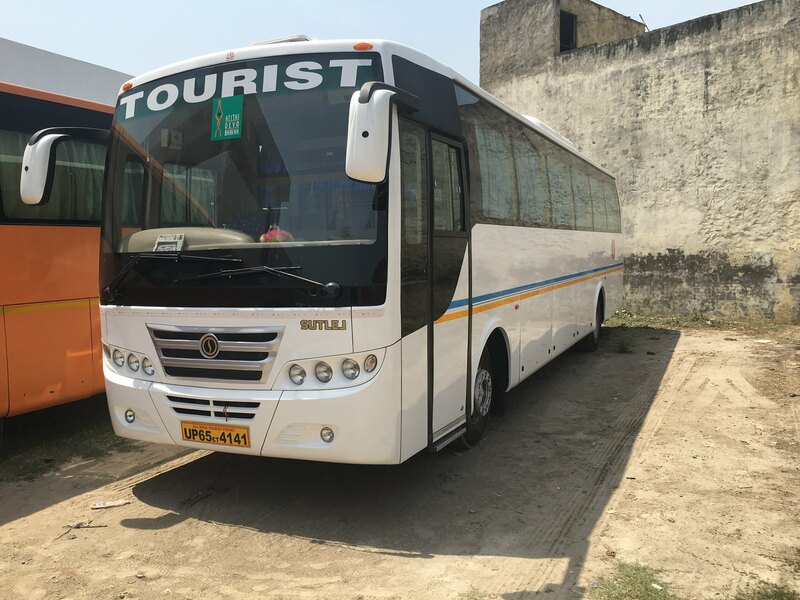 Tempo Traveller on rent for Varanasi to Maihar Devi. Tata Indigo or Indica car rental for Varanasi to Maihar. 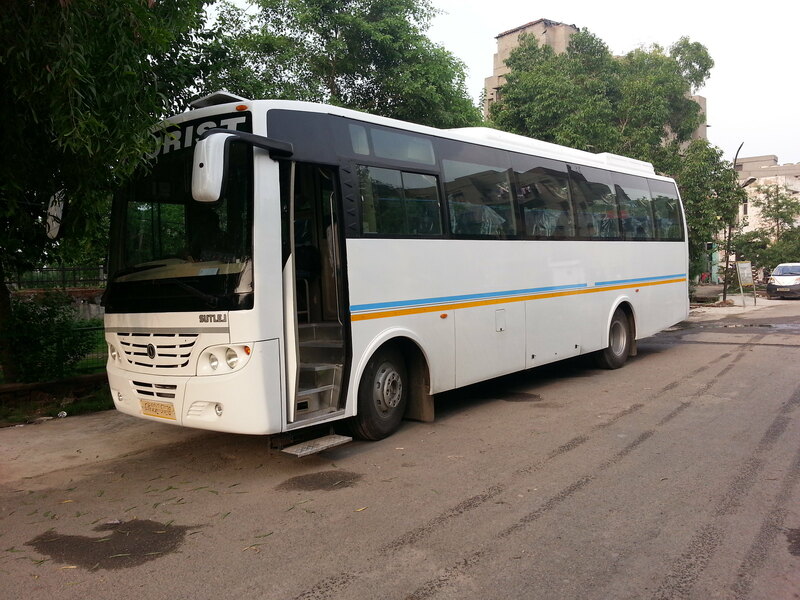 Luxury Ac Bus for Maihar Devi Darshan from Varranasi. Driver Allowance Rs. 200/day for small cars(It will be applicable before 5:00am and after 9:30 pm only).